Looking to stay somewhere cozy, beautifully maintained, and located a little off the beaten track? The Mountain Goat Lodge offers a variety of accommodation options from the luxurious to the quirky, all set within 20 acres of pasture among the mountains! You'll be warmly welcomed (by humans and animals!) and will experience a truly unforgettable stay. 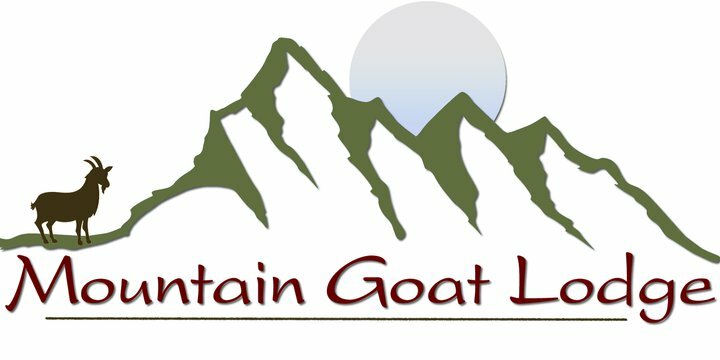 To check availability and book your stay at The Mountain Goat Lodge, simply email, call, or click! On the West side of Highway 285, just 2.5 miles North of Highway 50. (The little town at the intersection of these two highways is called Poncha Springs). Coming from the Denver area, it is fastest to take 285 south. Don't take the Historic Downtown Salida turnoff - keep going south on 285 about 5 more miles, we are between mile markers 129 and 130. NOTE: There is a goat sculpure on a boulder at the end of our driveway. If you don't see this - you most likely are at our neighbor's driveway - and they will not be very welcoming!